Gary Hobbs is a native of the Pacific Northwest and lives in Vancouver, WA. 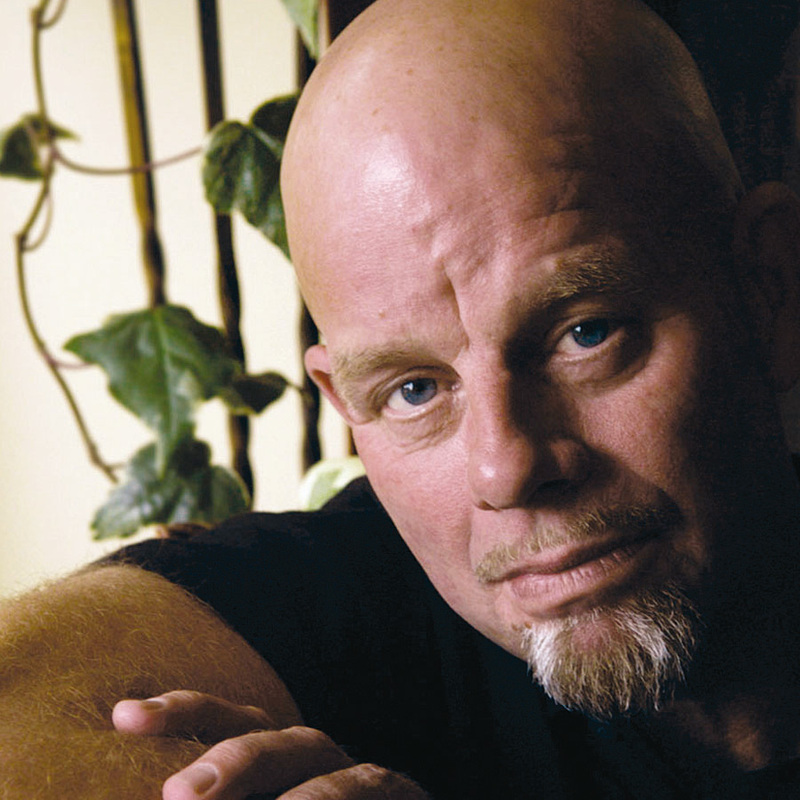 He has played professionally for over 4 decades and appears on over 60 recordings. Gary played with The Stan Kenton Orchestra from 75 through 77. Gary has performed with Randy Brecker, Bud Shank, Anita O'Day, Terry Gibbs, The New York Voices, The Woody Herman Orchestra and many others. He's played Carnegie Hall, Royal Festival Hall, Wolf Trap and the Kennedy Center, as well as festivals and clubs all over the world. 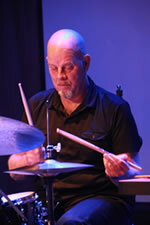 Gary is very active in Jazz Education, teaching at The University Of Oregon and doing clinics, concerts and jazz camps. 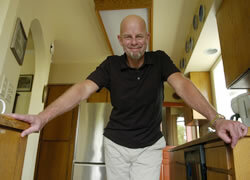 Gary Hobbs resides just outside Portland, OR, literally steps from the house he grew up in. His father and grandfather were both semi-pro drummers, but the drum bug didn't bite Gary until his senior year in high school. 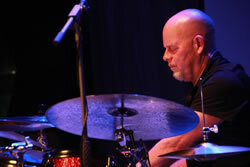 He attended a Stan Kenton Jazz Camp where he studied with legendary jazz drummer and educator John Von Ohlen, who convinced him to pursue drumming professionally. After a stint in the army, Gary was invited to join the Kenton Band and toured with them almost non-stop for two and a half years. 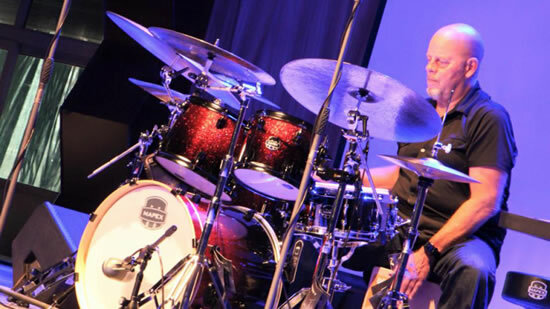 Since then, his hometown has been his home base from which he has commanded a successful career as a drummer and educator. 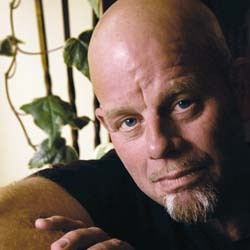 In addition to playing all over the Pacific Northwest, Gary teaches at The University of Oregon. 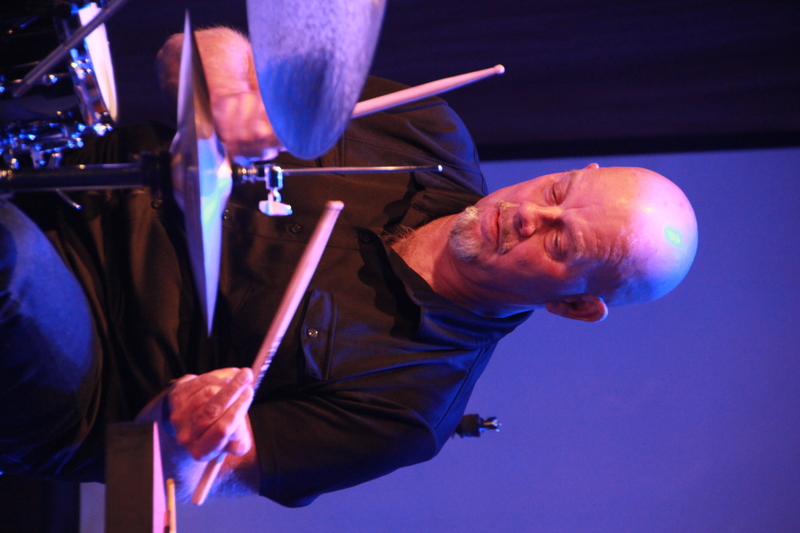 He has traveled the world as a sideman with jazz greats such as Randy Brecker, Anita O'Day, and Eddie Harris, and in his own right as an educator and clinician. Things ain't what they used to be in East Asia, and especially in urban centers such as Beijing and Hong Kong, according to jazz drummer Gary Hobbs. You might actually hear that sly Duke Ellington standard pouring from the doorway of a nightclub or conservatory these days -- in a civilization that used to consider jazz music subversive, even pornographic, and definitely anti-communist. That big red chill is thawing fast, according to Vancouver native Hobbs, 67, who went on his fourth teaching-and-performing junket to China, Taiwan and Hong Kong in late October. The centerpiece of the trip was the third annual China Drum Summit, hosted by the Beijing Contemporary Music Academy. Hobbs was away for 10 days and was "totally shocked," he said, at the masses of Chinese music students displaying real talent and fire about this essentially American art form. Hobbs said he found "massive conservatories full of all these brazen virtuosos" who are practicing the instruments with the biggest, boldest voices -- brassy saxophones, earth-quaking drums -- like their lives depend on it. It stems from the rising Chinese standard of living, Hobbs surmised, and from the opening-up of a society that was officially closed to outside cultural influences for decades. "I'm not sure why all of a sudden jazz is cool there," he said, "but it is urgent." Welcome to my website. We just started Winter term at the University Of Oregon. The Jazz Major program at the University is full of fine young musicians and a wonderful group of educators. We are looking forward to playing and teaching this great form of music. I have become a Sabian/Crescent Cymbals artist and love these beautiful instruments. They sound and feel incredible and it's a pleasure working with all of the people from Sabian and Crescent Cymbals. Look for a new release by trombonist Doug Scarborough titled Bridges. It was great fun playing on this project along with Damian Erskine, Jeremy Siskind, just to name a couple of the fine players on the album. Clay Jenkins, Reggie Thomas, Rick Haydon and I are excited about our band "4". It was 4 years in the making but wait until you hear this original music. Hammond B3, guitar, trumpet and drums playing slammin' grooves and fresh, modern compositions. The CD is titled, "4" and is on the Jazz Compass label. You can get this CD at CD Baby and iTunes. Headed back to Bangkok Thailand in March for another workshop at Rangsit University. Really a great group of players and teachers working with new jazz fans. Hades Ladies, from Gary Hobbs' "Of My Times" is one of the featured tracks for Origin Records "The Music You Need" televison commercial campaign. The 5 commercials are currently in rotation on MSNBC, CNN, BET, Comedy Central and other channels on Comcast Cable in Seattle and soon expanding to other markets. Click here to visit the Origin Records site to view the commercials online. Gary Hobbs' new tune, Holy War, is available to download free-of-charge from garyhobbs.net. If you like the tune, feel free to make a contribution of $1 to the artist. For your pleasure ... click here to download a high-rez headshot of Gary Hobbs.